This is an original cast brass nautical ceiling light with a stainless steel cage. We added the 8 inch wide brass deflector cover to this original cast brass ceiling light to dress it up a little. 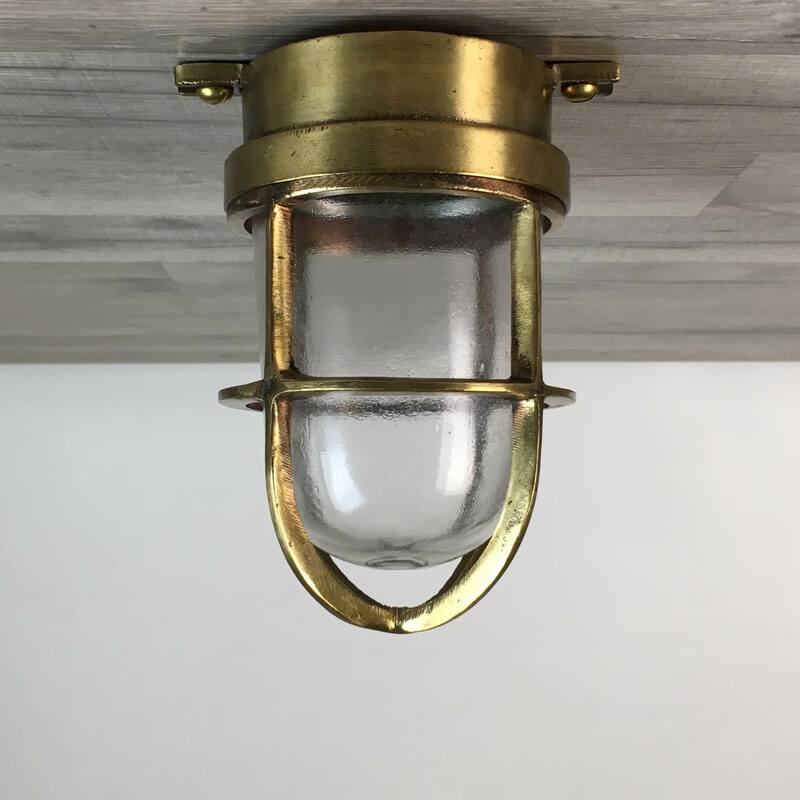 This cast brass nautical ceiling light will extend down about 8 inches when mounted. The base of the light has two mounting holes. Weighs about 7 pounds. The cage spins on and off freely and holds the undamaged glass globe in place as well as the deflector cover. Also, some of the cages may be slightly bent here and there. The light has been re-wired with all new UL-Listed parts that are rated for any voltage under 250 volts. The bulb holder takes a normal screw in house bulb of 75 watts or less, or you can use the newer compact fluorescent bulbs or LED lights with an Edison base. 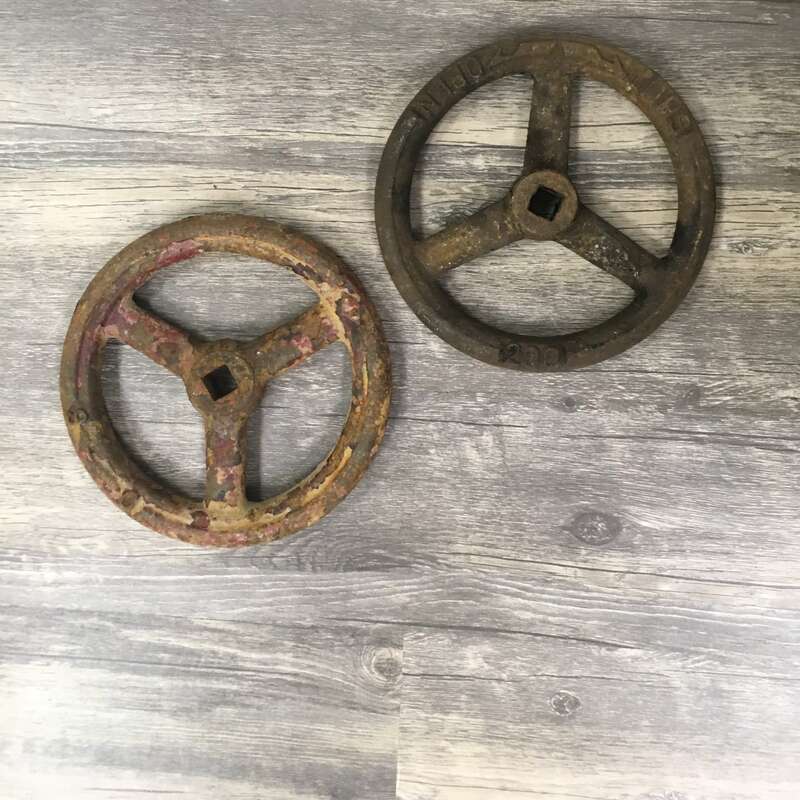 You will be shipped a cast brass nautical ceiling light w/brass deflector cover like that in the photos.